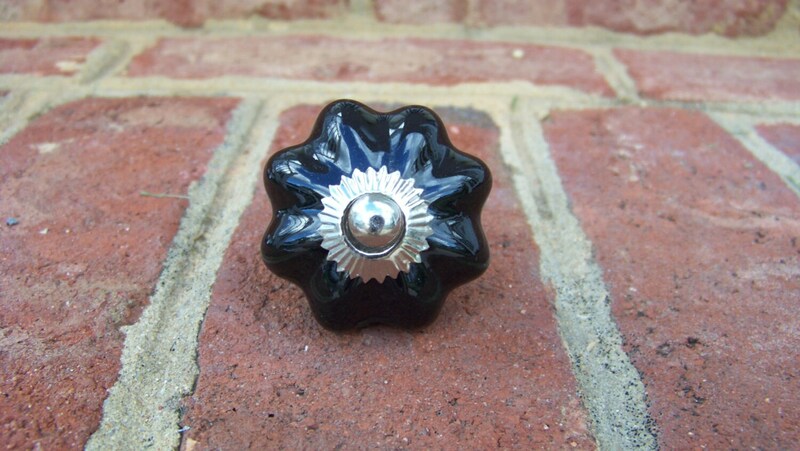 Ceramic rounded melon knob in black goes with all home decor. The center of the knob is silver. This listing is for 1 Ceramic Rounded Melon Black Knob. Love these knobs! They are perfect in my 1950s bathroom.